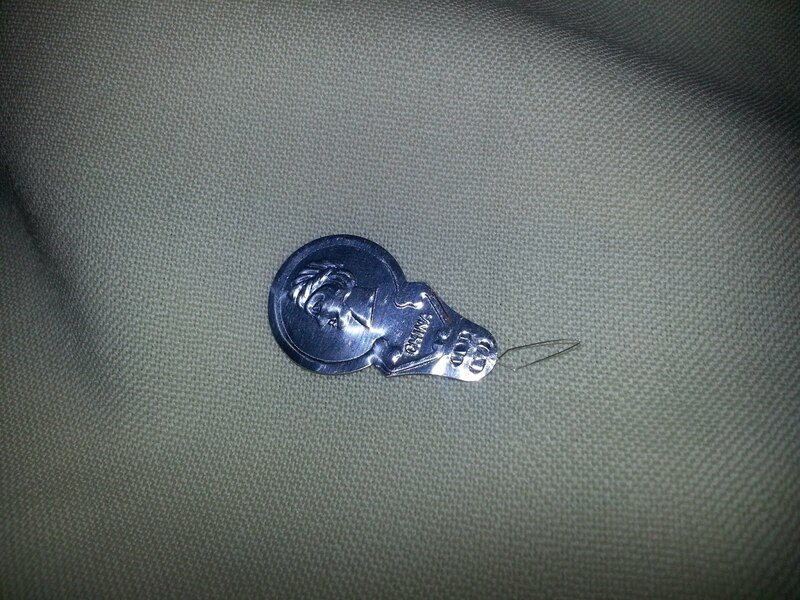 A few weeks back I take my tallis out of my tallit bag and noticed a small piece of debris fall out. 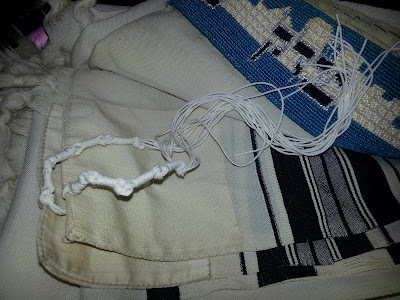 I do Shabbat services, and when I'm putting my tallit away I finally get a glimpse of what the debris was: a tiny piece of tzitzit. Naturally, I approach Rabbi wondering what I should do. 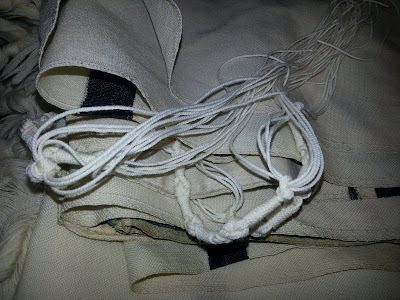 She then breaks the bad news to me: sure, it may have been only a tiny bit of tzitzit, but that doesn't matter, the entire tallit is no longer kosher. I assume I need to fix that one fringe and I'll be all set. Wrong again. All four fringes need to be replaced. Not only that, but the fringes that are no longer kosher aren't just tossed out in the trash; they are stored in a genizah before they are properly buried. 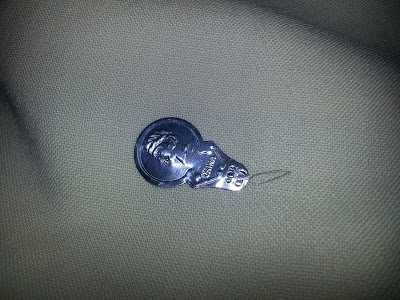 I imagined that tzitzit had special status, but apparently I misunderstood just how sensitive they are. In hindsight, this makes sense. But still. The Rabbi was kind enough to provide me with a set of kosher tzitzit, as well as a demonstration of how they are wrapped. Turns out, it's a combination knot tying and Pioneering Merit badge. While I tied one fringe on, the Rabbi tied on the other three. As long as I was doing a bit of tallit maintenance, I decided I should tack down part of my atarah that's come loose. 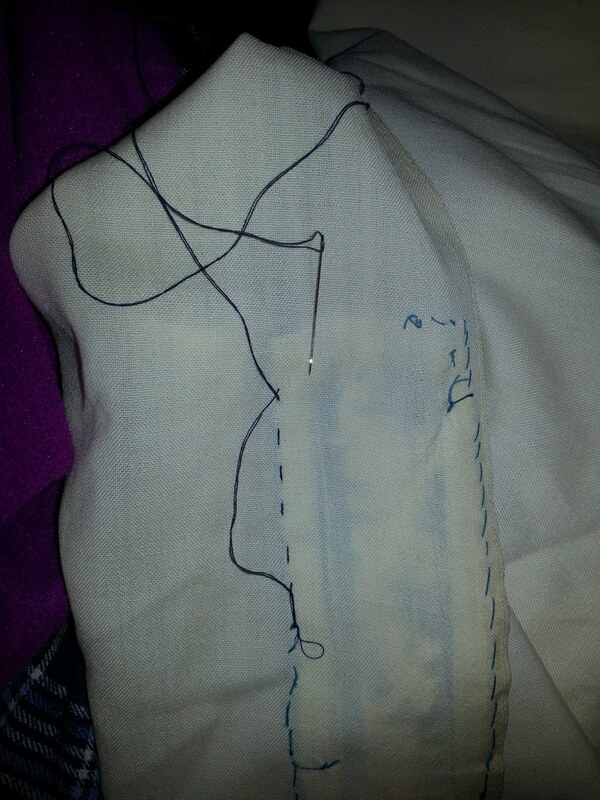 Luckily my Mom provided me with a sewing kit, and the Boy Scouts provided me with enough know-how to do an adequate job. Considering my tallit has been maintenance free 20+ years, I suppose I can't really complain that I've finally got to take some action. 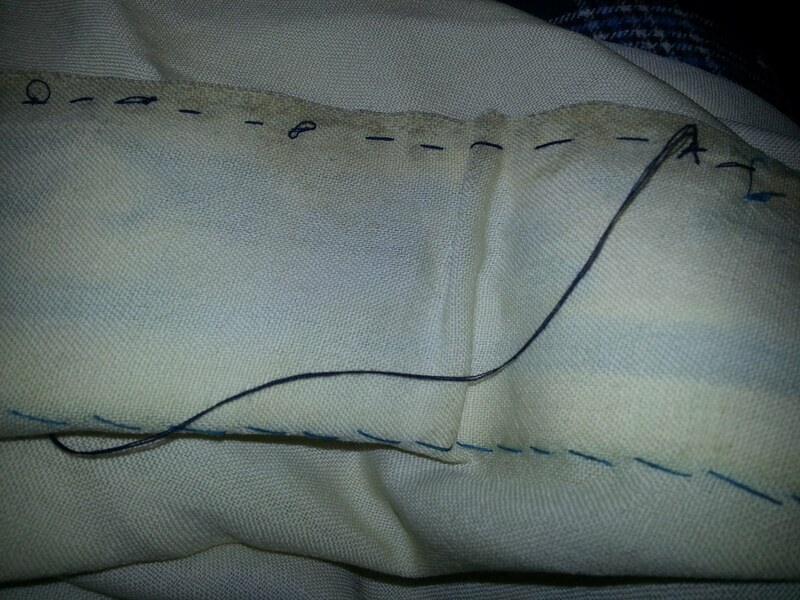 It was actually nice learning some of the laws of tzitzit. But that wasn't the best part. Nope, the best part was using a needle threader for the first time, and realizing that it wasn't some bit of decoration included in the sewing kit. What an amazing little device!